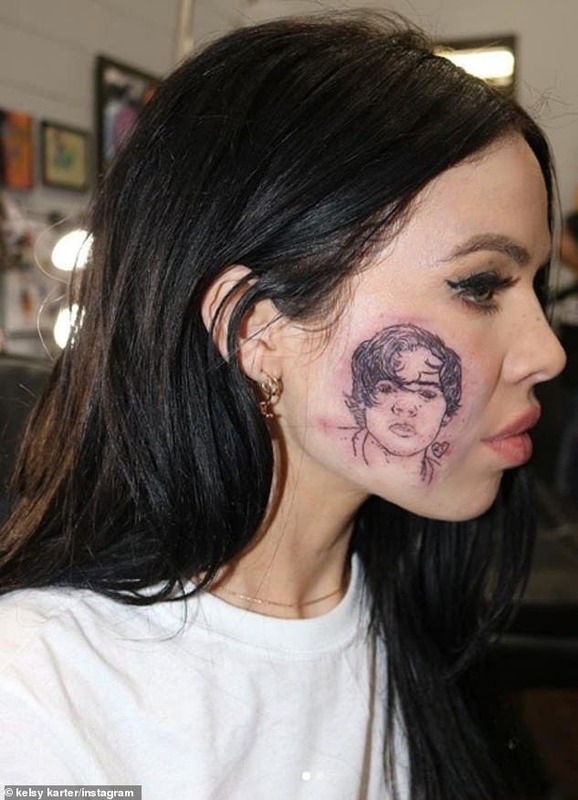 Singer Kelsy Karter has finally explained the meaning behind her Harry Styles face tattoo, saying, 'I wear my heart on my cheek'. Harry's number one fan claimed she wasn't afraid to 'express' her feelings for the star while in discussion with The Edge Afternoon Show. She said: 'I just wear my heart on my cheek and I couldn’t really control what went on from there. 'As a fellow musician, I really respect what he’s doing for rock ‘n’ roll. I’m a female in the modern day movement of rock ‘n’ roll and he’s exposed the kids to sounds they might have not otherwise heard. 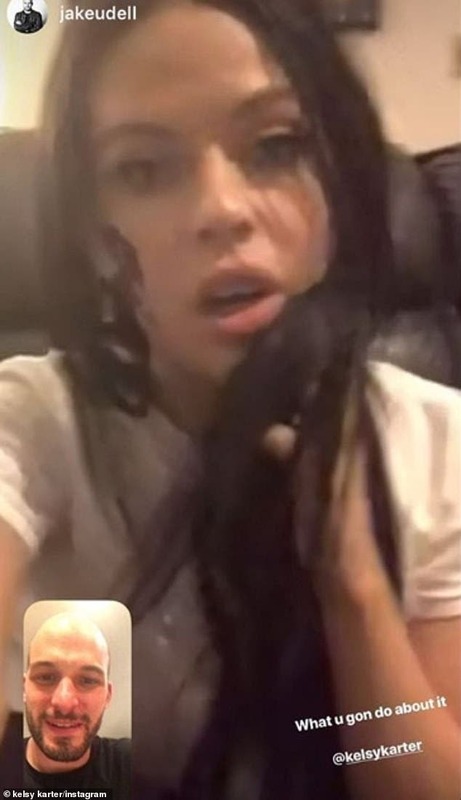 The singer's Instagram comes after she unveiled her Harry face tattoo for the first time after previously saying she is desperate to record a song on his next album. The singer, who has written a song for Zayn Malik, 26, had hinted on Twitter earlier this month that she was planning to do something for 24-year-old Harry's birthday, on February 1. It's not known if Kelsy and Harry are friends or if they have ever met. But she told i-D back in July why she loves him so much. She said: 'What I love about him from a professional standpoint is that he was the poppiest of pop stars, and then he went off on his own and made a classic rock album. 'For someone like me who wants to live in that world who hasn’t been in a boy band, he has opened the door for me. He’s introduced the kids to the kind of music I want to make. Meanwhile, Kelsy just dropped the music video to her new single, Catch Me If You Can but has been releasing music since 2012. She also wrote a song for Harry's former bandmate, Zayn, which hasn't come out yet. According to All Music, 'Kelsy makes vintage-influenced pop and soul with a contemporary twist. 'Born in New Zealand, Karter was raised in Australia, where she first started playing piano around age six. Kelsy spoke to CLASH about her latest musical offering, Catch Me If You Can. She said:' Catch Me If You Can is about that time I killed the love of my life. I broke up with my boyfriend and he told me that he died inside. It also appears as though Kelsy is a Styles fan through and through as the first post on her Instagram page is a video from one of his concerts. Harry's usually a big fan of fan tattoos. Back in 2016, one of his superfans asked him to write down his fave Florence And The Machine lyrics, so that she could get them tattooed at a later stage. The star has himself got lots of inkings across his body.